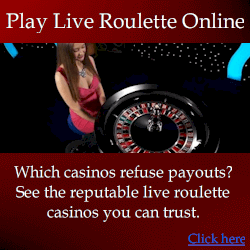 Beat roulette with the World’s most sophisticated and accurate electronic prediction device. Automatic wheel and ball speed detection: it doesn’t get tired or make mistakes. It’s always accurate. Much quicker to use: Usually you start to beat the wheel after about 5-10 spins of play, and your edge gets stronger. The Hybrid learns how the ball behaves and bounces in much less time than the next best mode (the Uber version). So teams can be out of casinos with their profit in even 30 minutes of play. Although with higher stakes play, it is safer to test more spins to fully know how profitable the wheel is before making large bets. Even then it’s still much quicker to use the other computers. Manage unlimited teams throughout the world: Normally to maximize winnings (millions), teams need to frequently change casinos to avoid detection. But the Hybrid allows you to have as many different teams as you want, throughout the world. All the players need is basic equipment such as common smartphones. So you could have a team in each country if you want, and give a new team access to the Hybrid each day. The teams pay you part of their winnings. This way it’s like buying multiple roulette computers and giving them to your partners throughout the world to split profits. There are many other features and capabilities that sincerely need to be seen to be believed. Remember if you’re a serious purchaser, you don’t need to be skeptical. Simply visit us for a personal demo and you’ll see everything you can imagine before purchasing. You will be left in no doubt about what you are paying for. Contact us to arrange a personal demonstration and see all features.